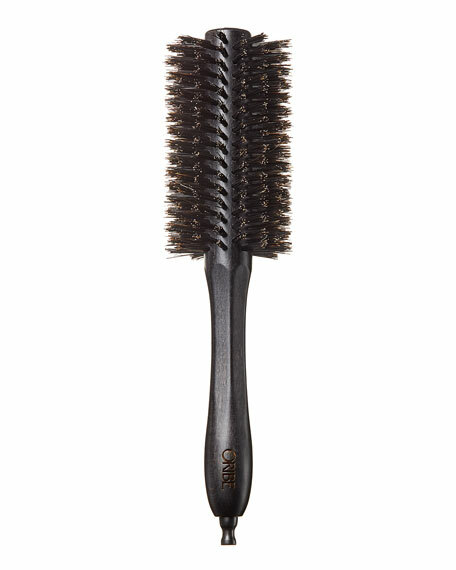 The Round Brush features high-quality boar bristles to add maximum volume and shine. 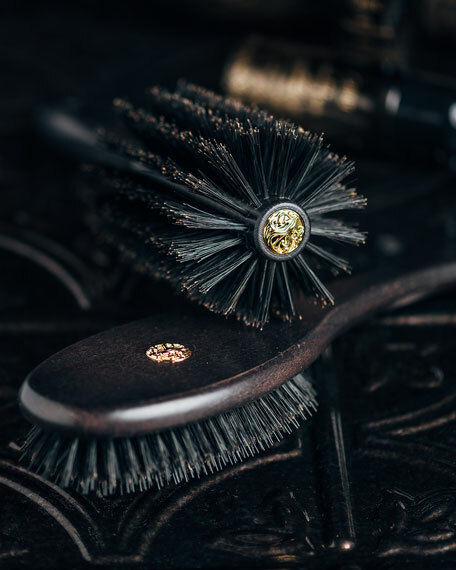 A sectioning pin is hidden in the end to separate hair while styling. Short, dense bristles blend liner or dark shadows for a sultry look. 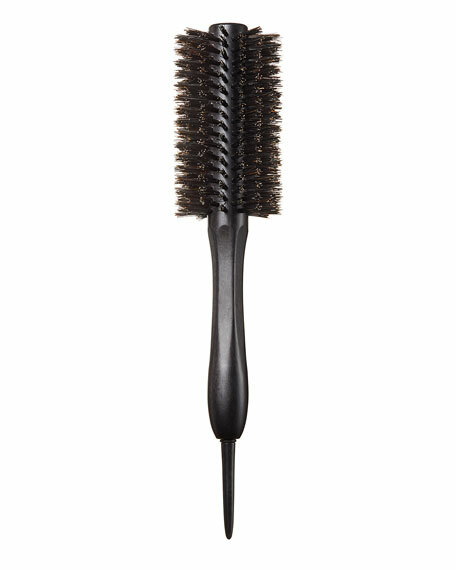 Made from supremely soft, PETA-approved, high-grade Taklon bristles, an excellent alternative for those who suffer from allergies to animal hair. Weighted metal handles provide control for easier blending and application. 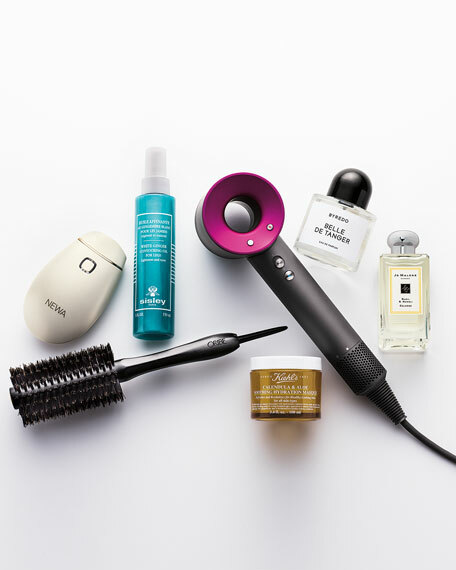 Brushes may be used wet or dry.